Before Nintendo’s E3 Digital Event, some Fire Emblem fans have asked the question: what if Fire Emblem if, the latest installment in this venerable strategy RPG franchise, had a new title for the Western market? Nintendo has indeed changed the name of the series’ second 3DS installment to Fire Emblem Fates. A release window for North America was also revealed. 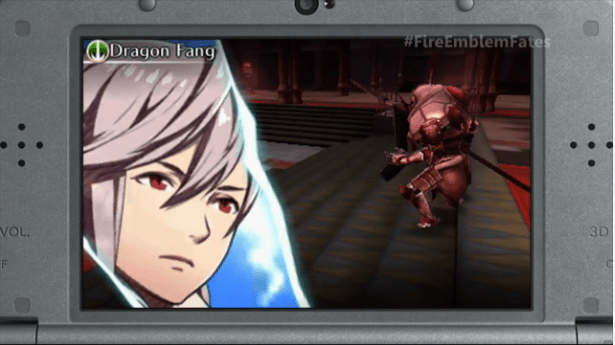 Fire Emblem Fates will hit 3DSes across North America in 2016. The latest trailer for Fire Emblem Fates, shown during the Digital Event, showcases some of the full English voice acting. Even so, other details about the Western release of this installment, which comes out on June 25 in Japan, were not revealed. Fire Emblem fans might recall that the game will be available in two different versions in Japan, each featuring a different timeline. In Fire Emblem Fates, your main character decides the fate of the timeline, a first for the series. They can join either the passive Hoshido or the belligerent Nohr factions. The game also features amiibo support. Hopefully, Fire Emblem Fates’ release strategy in the West will be detailed in the coming months before its 2016 release date, so we will keep you posted. In the meantime, you can check out the trailer below.